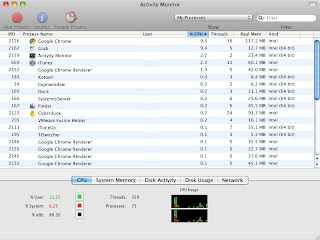 An often overlooked utility that's built right into OS X is the Activity Monitor.app. 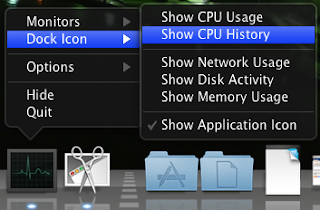 It lets you view all running processes as well as their memory and cpu usage allowing you to narrow down which apps are misbehaving. Another handy feature is the updating dock icon. Activity Monitor.app lives in Applications -> Utilities.